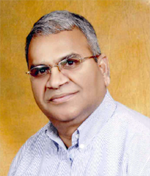 R. Reddy Sama is instrumental in developing the "JAIHO" process and "Witnessing Response Therapy"
He spent his first 25 years in India and more than 25 years in the USA. Reddy has developed recently “The JAIHO process” – a model to create harmony and values alignment effectively between the individuals and the teams of smaller to larger groups. SAMA Syntropy Summary Report. He has also developed the SAMA Syntropy Reports which includes 3 approaches to conflict resolution. They are My Way, Your Way and Our Way Forms have been developed for 3 cases: Teenager Conflict Resolution, Adult/Couple Conflict Resolution, Family/Community Conflict Resolution. 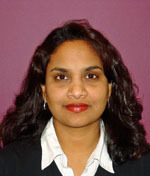 Padmaja R. Ireland is instrumental in developing the "JAIHO" process and her own "PADMAS Way". Reddy Sama has been a spiritual speaker for the past 30 years. He has done intense exploration in the practice of meditation. For the past 7 years, his life has had unique challenges, and his experiments with witnessing meditation has emerged the the JAIHO Process. 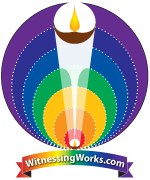 As a result of these findings, he has developed the WitnessingWorks.com website and listed many of the concepts dealing with the evolution from human suffering to global harmony. His goal is to help facilitate a global harmonization project (Project #: GH-12721). As a Certified CTT Consultant, his objective is to network with the 4,000 other CTT Consultants all over the world. 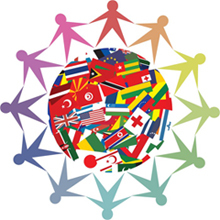 The goal is to implement the Global Harmony Project throughout the world – one person at a time expanding into larger and larger groups. If this project is done properly and synergistically, significant realization of the goal may be possible by the year 2020. "Transforming Individual Ignorance/Suffering into Group Wisdom/Bliss." "Helping people "To wake-up to Oneness and to celebrate Separateness." The Seven Most Important Values are: 1) Vitality 2) Integrity 3) Reciprocity 4) Transparancy 5) True Understanding 6) Witnessing Awareness, and 7) Healthy Oneness." Conduct seminars/workshops to spread the message so that everybody takes advantage of creating a joyful living for themselves and within the group they are involved. "To develop people tools "to help resolve their conflicts between 1) Individuals, 2) Couples/Families,3) Small groups of Communities and Organizations." Draft proposals are presented in this website and need people participation to improve the effectiveness of their life by using the tools with deep understanding and awareness. I will keep adding and improve the website and simplifying where needed so that all members of family, community and organizations can effectively create a joyful life.